The article mentions a number of reasons for this delayed retirement, including the fact that boomers tend toward being “highly motivated, enjoying what they do, and providing great experience and value within the global workforce.” The most important reason, though might be the simple fact that today’s economic climate leaves many people feeling they cannot afford to retire as early as previous generations did. One of the main factors leading the steady growth of retiree-led startups over recent years has been the rapid developments in functionality and scope of online platforms, which makes it easier for budding entrepreneurs of all ages to access business opportunities. Simply put, baby boomers are the first generation to retire from traditional office environments while maintaining unfettered access to the internet’s moneymaking potential. The sheer diversity of opportunities the internet brings to those wishing to generate retirement income can be a little intimidating. Knowing where to start can seem as daunting as knowing how to. - First, it tends to reward the value of collectible or vintage items. - Second, it provides an opportunity to reduce clutter at home. Alternatively, for savvy salespeople who don’t want to part with their own goods, there’s always the option to sell on behalf of others through schemes like the Amazon affiliate program. Once some of that unwanted junk has been jettisoned, retirees can start to consider the moneymaking potential of their not-so-transferrable assets – namely their homes, gardens, and other rentable properties. In what’s often referred to as the “sharing economy,” many people are actively looking to rent small spaces like spare rooms, garages, and garden sheds for a variety of reasons. Retirees can earn income by providing short-term accommodations via Airbnb, leasing storage space for others’ goods, or even renting out driveway parking to those who need it. One of the most satisfying and stimulating ways to generate additional income online is to make something with your hands and sell it – which is precisely what many retirees do today. 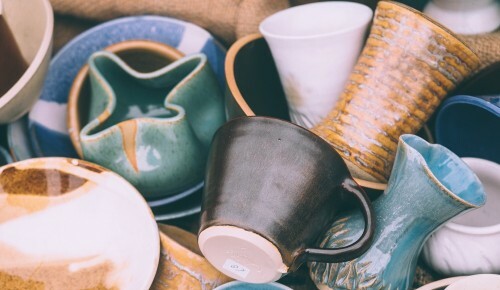 You only have to browse independent shopfront websites like Etsy to see just how many people are earning secondary incomes by selling their fine art, craft items, organic household products, and artisanal foodstuffs. Being a small, independent storeowner also means retirees can make things to order based on a couple of prototypes rather than keeping boxes of unsold stock lying around. Over the course of a lifetime in the workforce, people will naturally pick up some specific talents and areas of expertise. Those don’t suddenly lose all value the day you retire! Constant global online connectivity through email, Skype, and other platforms means it’s easier than ever to generate income by sharing your specialized knowledge with others. There are many ways to tap into teaching and consulting opportunities online. Whether you want to teach music to beginners, tutor people in a foreign language, or lend your eye to a small business’s accounts, numerous safe and credible websites enable you to connect with clients and carry out your plan. You can even create your own bespoke courses through online educational hubs like Udemy. Many people have developed valuable skills over the course of their careers but don’t necessarily want to teach those skills to others. In that case, freelancing is perhaps the most obvious way of continuing to capitalize on your talents. Whether you’re great at writing reports or want to do some gardening, there are many online hubs – People Per Hour is just one well-known example – that allow freelancers of all backgrounds and levels of expertise to trade their services for cash. The wide variety of home-based moneymaking opportunities on offer for today’s baby boomer retirees means that just trying to narrow down the options can feel like half the battle! Happily, there are plenty of guides available online – like the one you’re reading now, or this one here – that can help you narrow down your options.